The Els Club Desaru Coast has been rewarded for its dedication to growing tourism in Malaysia at this year’s Malaysia Tourism Council Gold Awards. This award marks a successful calendar year for The Els Club Malaysia, which is the home of three signature Els Design golf courses in two scenic locations: in Desaru and upon the island of Langkawi. The Malaysian Tourism Council (MTC) Gold Awards are a prestigious event for the tourism industry in the country and made their debut recently at the Palace of Golden Horses, Selangor. The award recognises the successes of national and international travel and tourism agencies, as well as outstanding private sector companies and individuals. They pay tribute to those who have excelled and supported the development of tourism in Malaysia and are the highest accolades for individuals and organisations whose outstanding contributions play a significant role in the success of Malaysia’s tourism industry. The award was voted on by a panel of experts who are leading members of the Malaysian tourism community. 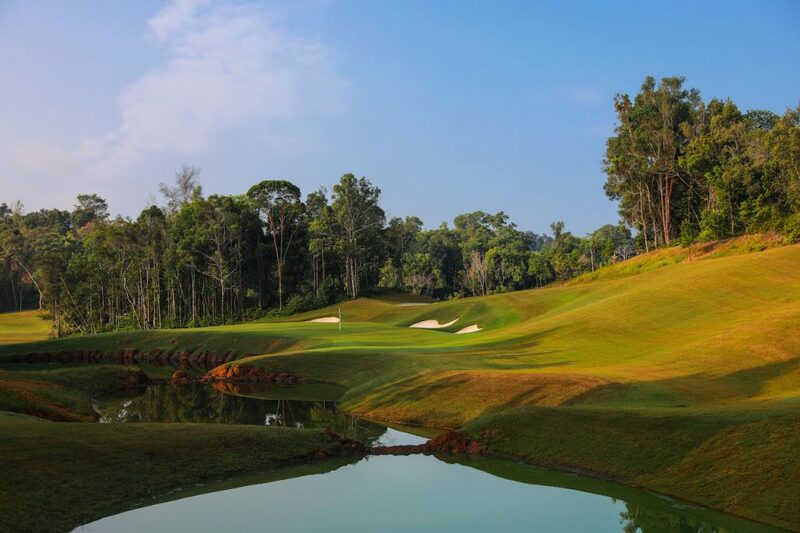 After picking up the ‘Best Resort Course 2018’ award, Stephen Havrilla, Group General Manager of The Els Club Malaysia, commented: “The MTC Gold Awards are a highlight of the Malaysian golf tourism calendar, and we are thrilled to be recognised as the ‘Best Resort Course 2018’ by the experts in the industry. The Els Club Desaru Coast is an unrivalled tourism destination, which spans over 3,900 acres and 17km of stunning coastline adjacent to the South China Sea. The 45-hole property, which encompasses the Ernie Els and Vijay Singh-designed Valley Course alongside the Ocean Course, provides golfers with not only the excellence and quality of an Els-designed layout but also beautiful surroundings and world-class facilities to hone their skills. These include The Els Performance Golf Academy, which is the first of its kind in the region, the 261 Restaurant – a relaxed terrace experience with golf course views created as an ode to Ernie’s Open Championship successes at the Ocean Course, and the Lembah Restaurant at the Valley Course. The amazing location, managed by Troon Golf, the world’s leading golf management group, attracts golfers and tourists alike from all over the world, providing a welcome boost to Malaysian tourism and broadening the appeal of the country’s extensive tourism offer.